To complicate matters, having cyber insurance might not cover everyone’s losses. Zurich American Insurance Company refused to pay out a $100 million claim from Mondelez, saying that since the U.S. and other governments labeled the NotPetya attack as an action by the Russian military their claim was excluded under the “hostile or warlike action in time of peace or war” exemption. I get that $100 million is real money, but the insurance industry needs to figure out how to properly insure commercial networks against this sort of thing. Security updates have been issued by CentOS (procps, xmlrpc, and xmlrpc3), Debian (batik, prosody, redmine, wireshark, and zookeeper), Fedora (jasper, kernel, poppler, and xmlrpc), Mageia (git and wireshark), Red Hat (rh-java-common-xmlrpc), Slackware (git), SUSE (bzr, dpdk-thunderxdpdk, and ocaml), and Ubuntu (exempi). Security updates have been issued by Debian (kernel, procps, and tiff), Fedora (ca-certificates, chromium, and git), Mageia (kernel, kernel-linus, kernel-tmb, and libvirt), openSUSE (chromium and xen), Oracle (procps, xmlrpc, and xmlrpc3), Red Hat (xmlrpc and xmlrpc3), Scientific Linux (procps, xmlrpc, and xmlrpc3), SUSE (HA kernel modules and kernel), and Ubuntu (libytnef and python-oslo.middleware). 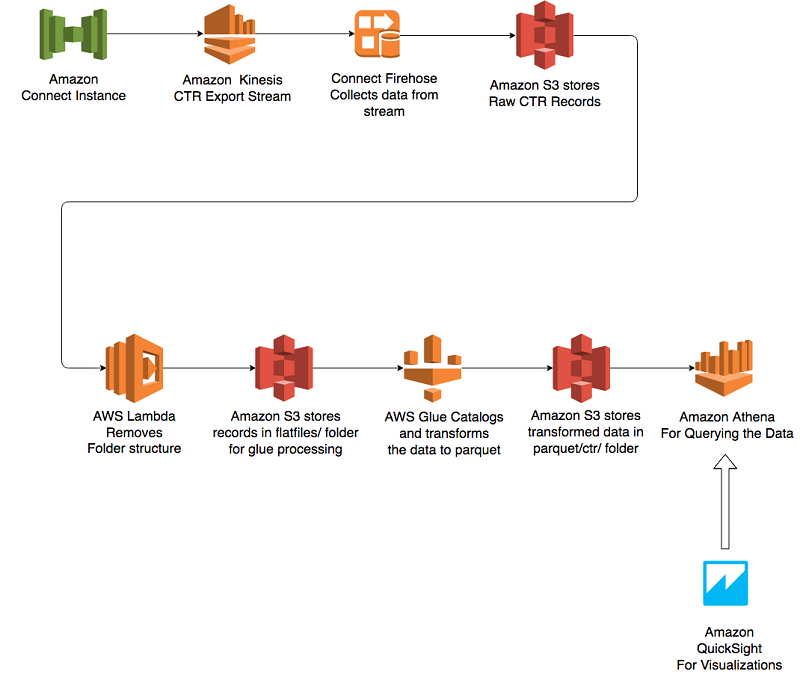 Amazon QuickSight is a fully managed cloud business intelligence system that gives you Fast & Easy to Use Business Analytics for Big Data. 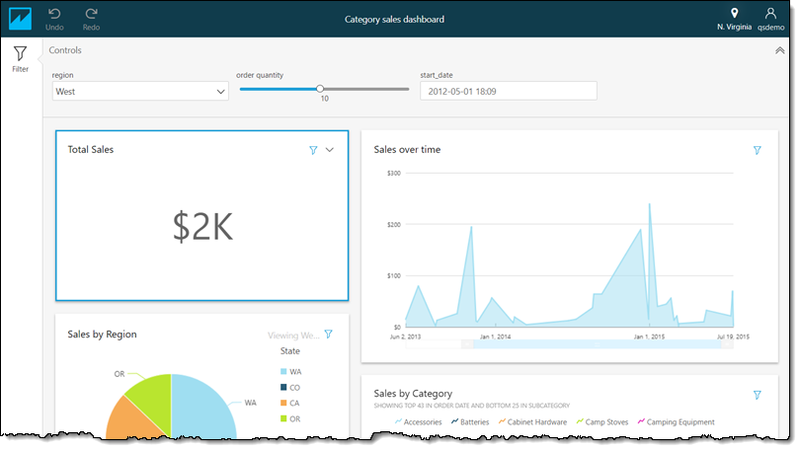 QuickSight makes business analytics available to organizations of all shapes and sizes, with the ability to access data that is stored in your Amazon Redshift data warehouse, your Amazon Relational Database Service (RDS) relational databases, flat files in S3, and (via connectors) data stored in on-premises MySQL, PostgreSQL, and SQL Server databases. 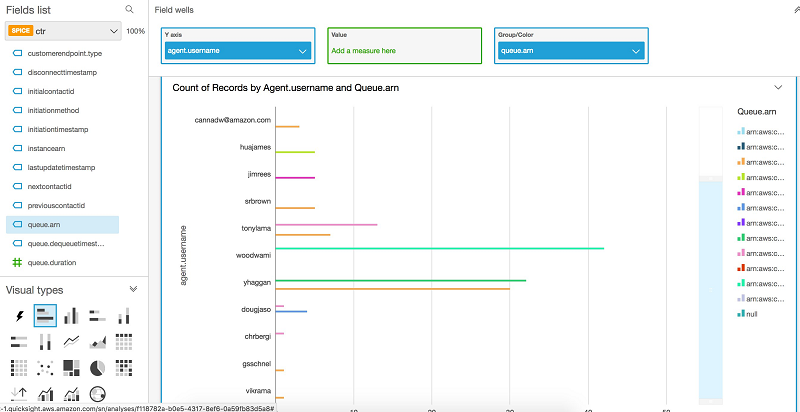 QuickSight scales to accommodate tens, hundreds, or thousands of users per organization. 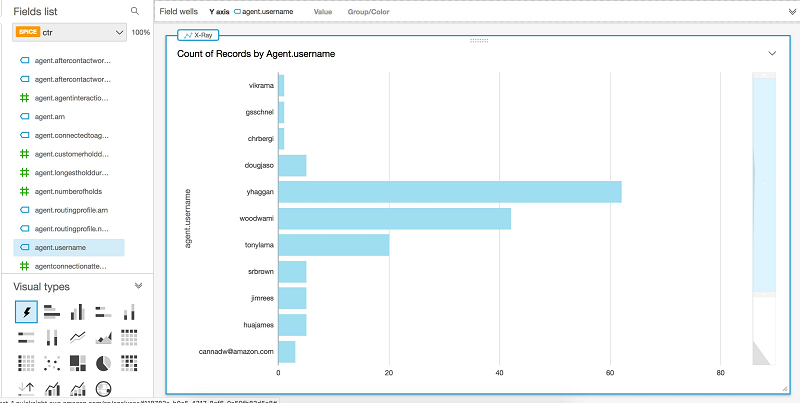 Our customers are making great use of QuickSight and take full advantage of the power it gives them to connect to data sources, create reports, and and explore visualizations. However, not everyone in an organization needs or wants such powerful authoring capabilities. Having access to curated data in dashboards and being able to interact with the data by drilling down, filtering, or slicing-and-dicing is more than adequate for their needs. Subscribing them to a monthly or annual plan can be seen as an unwarranted expense, so a lot of such casual users end up not having access to interactive data or BI. 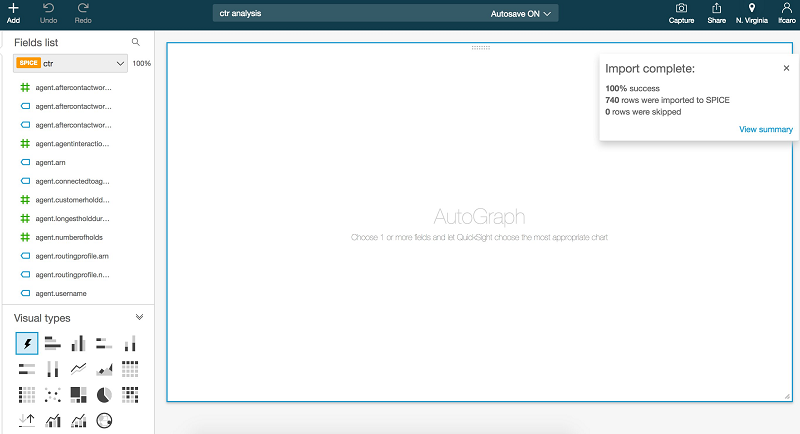 Authors have access to the full power of QuickSight; they can establish database connections, upload new data, create ad hoc visualizations, and publish dashboards, all for $9 per month (Standard Edition) or $18 per month (Enterprise Edition). 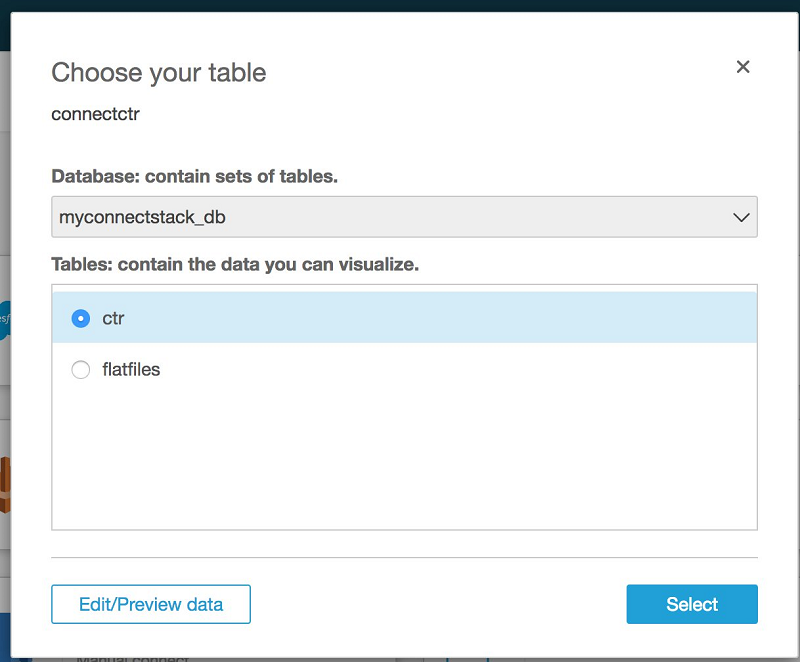 Readers can view dashboards, slice and dice data using drill downs, filters and on-screen controls, and download data in CSV format, all within the secure QuickSight environment. Readers pay $0.30 for 30 minutes of access, with a monthly maximum of $5 per reader. Admins have all authoring capabilities, and can manage users and purchase SPICE capacity in the account. The QuickSight admin now has the ability to set the desired option (Author or Reader) when they invite members of their organization to use QuickSight. They can extend Reader invites to their entire user base without incurring any up-front or monthly costs, paying only for the actual usage. To learn more, visit the QuickSight Pricing page. The UI is in English, with a localized version in the works. Enterprise Edition SPICE data sets can now be set to refresh as frequently as every hour. In the past, each data set could be refreshed up to 5 times a day. To learn more, read Refreshing Imported Data. This feature was launched in preview form late last year, and is now available in production form to users of the Enterprise Edition. 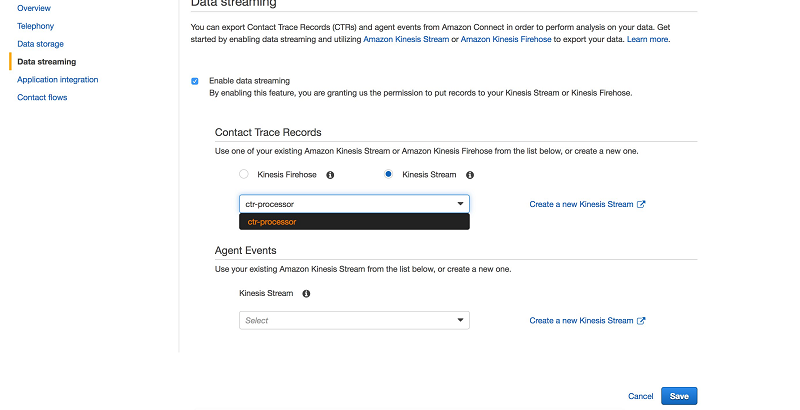 As I noted at the time, you can use it to implement secure, private communication with data sources that do not have public connectivity, including on-premises data in Teradata or SQL Server, accessed over an AWS Direct Connect link. To learn more, read Working with AWS VPC. To learn more, read about Parameters in QuickSight. 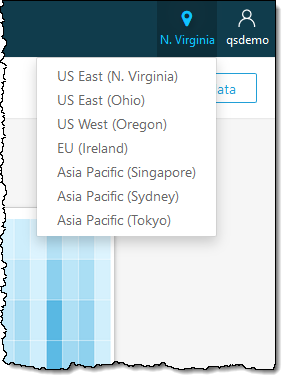 You can use this feature to link QuickSight dashboards to third party applications (e.g. Salesforce) or to your own internal applications. 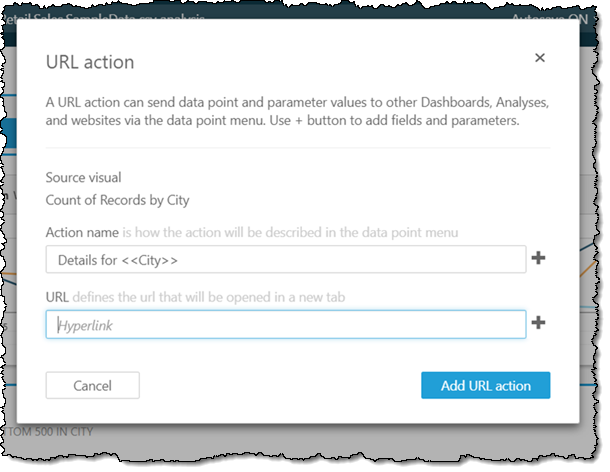 Read Custom URL Actions to learn how to use this feature. 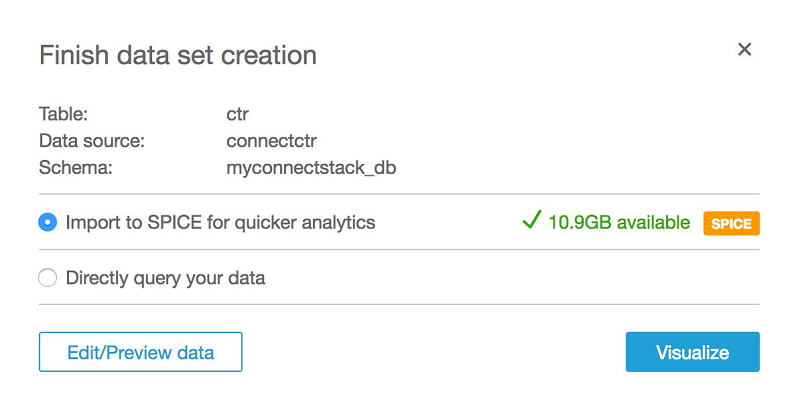 You can now share QuickSight dashboards across every user in an account. The per-data set limit for SPICE tables has been raised from 10 GB to 25 GB. The QuickSight administrator can now upgrade an account from Standard Edition to Enterprise Edition with a click. This enables provisioning of Readers with pay-per-session pricing, private VPC access, row-level security for dashboards and data sets, and hourly refresh of data sets. Enterprise Edition pricing applies after the upgrade. Everything I listed above is available now and you can start using it today! You can try QuickSight for 60 days at no charge, and you can also attend our June 20th Webinar. Hey folks, Rob here! 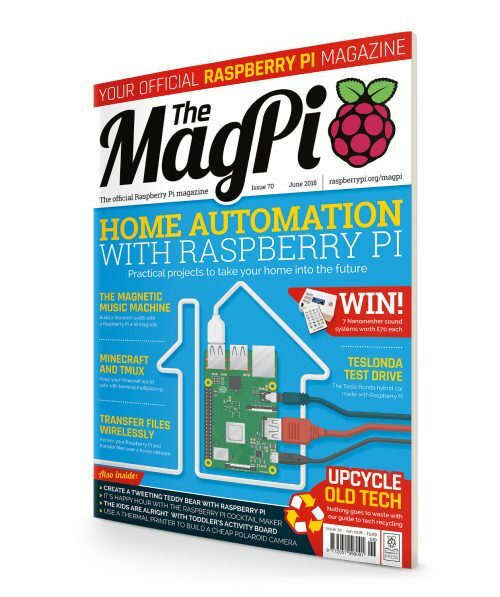 It’s the last Thursday of the month, and that means it’s time for a brand-new The MagPi. 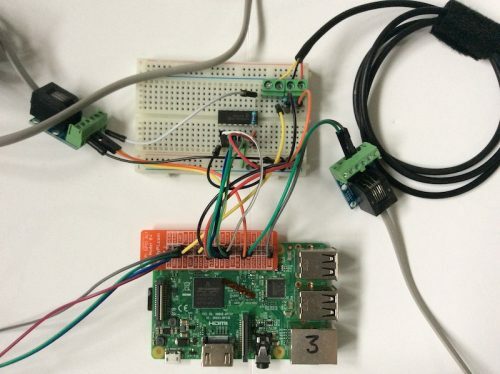 Issue 70 is all about home automation using your favourite microcomputer, the Raspberry Pi. 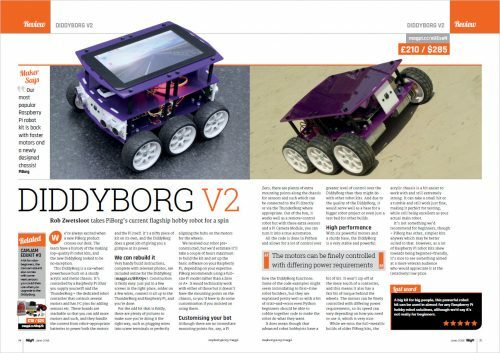 Home automation in this month’s The MagPi! 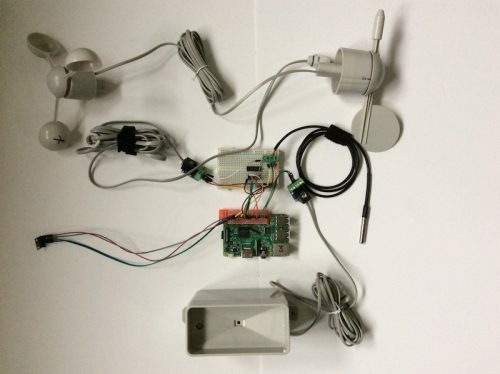 We think home automation is an excellent use of the Raspberry Pi, hiding it around your house and letting it power your lights and doorbells and…fish tanks? We show you how to do all of that, and give you some excellent tips on how to add even more automation to your home in our ten-page cover feature. 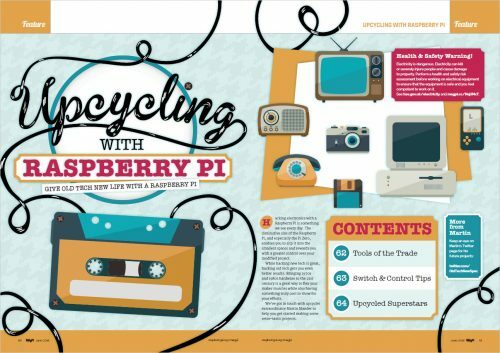 Our other big feature this issue covers upcycling, the hot trend of taking old electronics and making them better than new with some custom code and a tactically placed Raspberry Pi. 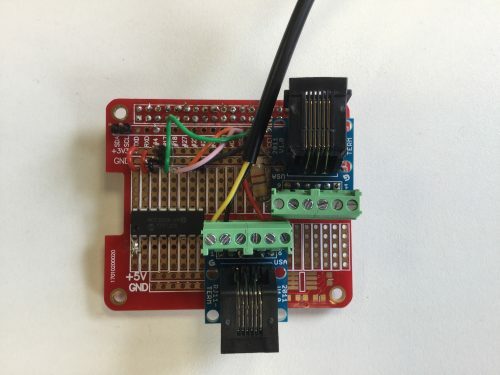 For this feature, we had a chat with Martin Mander, upcycler extraordinaire, to find out his top tips for hacking your old hardware. If for some reason you want even more content, you’re in luck! 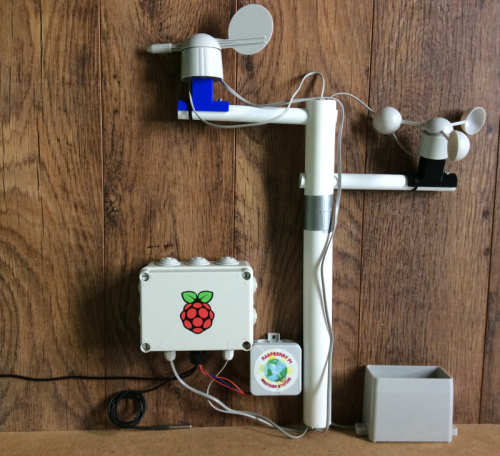 We have some fun tutorials for you to try, like creating a theremin and turning a Babbage into an IoT nanny cam. We also continue our quest to make a video game in C++. 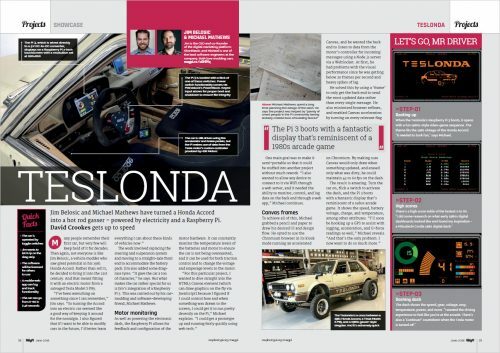 Our project showcase is headlined by the Teslonda on page 28, a Honda/Tesla car hybrid that is just wonderful. Issue 70 is available today from WHSmith, Tesco, Sainsbury’s, and Asda. If you live in the US, head over to your local Barnes & Noble or Micro Center in the next few days for a print copy. You can also get the new issue online from our store, or digitally via our Android and iOS apps. And don’t forget, there’s always the free PDF as well. 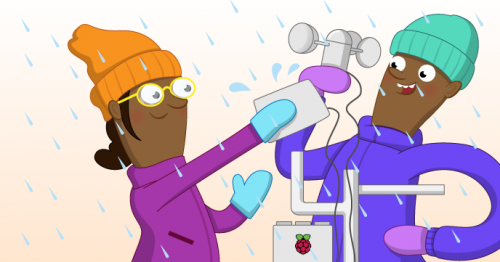 Want to support the Raspberry Pi Foundation and the magazine? 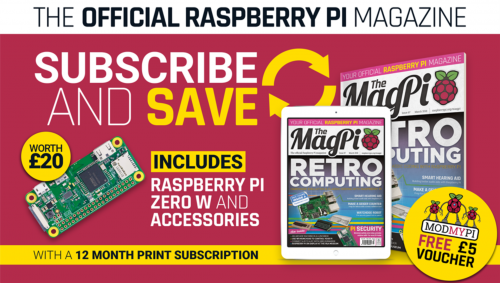 We’ve launched a new way to subscribe to the print version of The MagPi: you can now take out a monthly £4 subscription to the magazine, effectively creating a rolling pre-order system that saves you money on each issue. 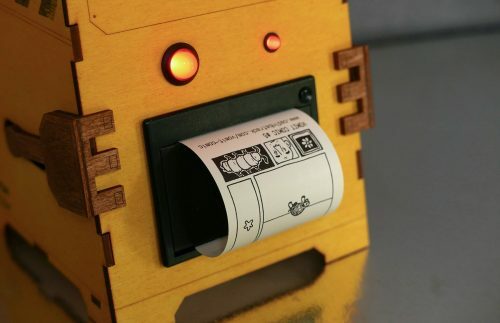 You can also take out a twelve-month print subscription and get a Pi Zero W plus case and adapter cables absolutely free! This offer does not currently have an end date. That’s it for today! See you next month. 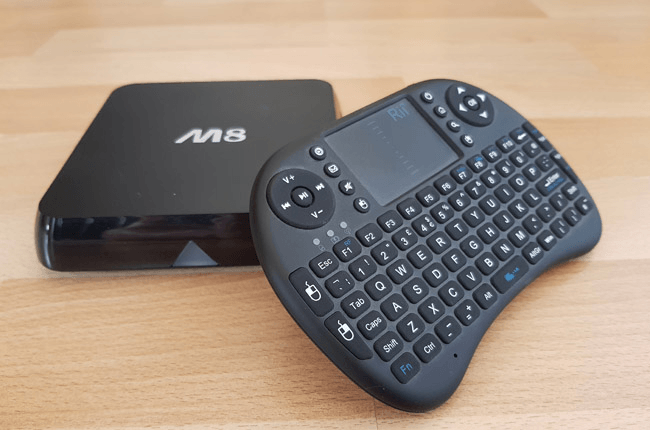 The post MagPi 70: Home automation with Raspberry Pi appeared first on Raspberry Pi. Backblaze is hiring a Director of Sales. This is a critical role for Backblaze as we continue to grow the team. We need a strong leader who has experience in scaling a sales team and who has an excellent track record for exceeding goals by selling Software as a Service (SaaS) solutions. In addition, this leader will need to be highly motivated, as well as able to create and develop a highly-motivated, success oriented sales team that has fun and enjoys what they do. 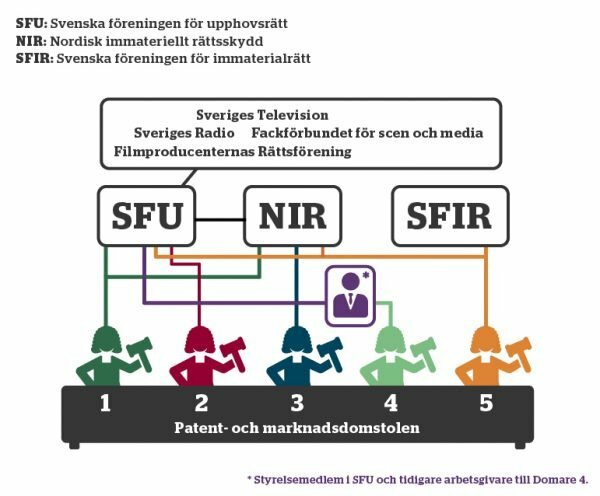 In 2007, after a friend’s computer crash caused her some suffering, we realized that with every photo, video, song, and document going digital, everyone would eventually lose all of their information. Five of us quit our jobs to start a company with the goal of making it easy for people to back up their data. Like many startups, for a while we worked out of a co-founder’s one-bedroom apartment. Unlike most startups, we made an explicit agreement not to raise funding during the first year. We would then touch base every six months and decide whether to raise or not. We wanted to focus on building the company and the product, not on pitching and slide decks. And critically, we wanted to build a culture that understood money comes from customers, not the magical VC giving tree. Over the course of 5 years we built a profitable, multi-million dollar revenue business — and only then did we raise a VC round. 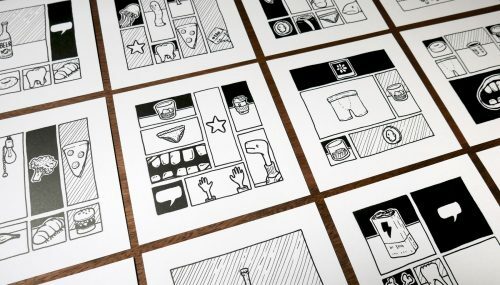 A brand millions recognize for openness, ease-of-use, and affordability. A computer backup service that stores over 500 petabytes of data, has recovered over 30 billion files for hundreds of thousands of paying customers — most of whom self-identify as being the people that find and recommend technology products to their friends. 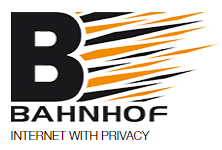 Our B2 service that provides the lowest cost cloud storage on the planet at 1/4th the price Amazon, Google or Microsoft charges. While being a newer product on the market, it already has over 100,000 IT and developers signed up as well as an ecosystem building up around it. A growing, profitable and cash-flow positive company. And last, but most definitely not least: a great sales team. We have a great team, but we are in the process of expanding and we need to develop a structure that will easily scale and provide the most success to drive revenue. We just launched our outbound sales efforts and we need someone to help develop that into a fully successful program that’s building a strong pipeline and closing business. We need someone to work with the marketing department and figure out how to generate more inbound opportunities that the sales team can follow up on and close. We need someone who will work closely in developing the skills of our current sales team and build a path for career growth and advancement. We want someone to manage our Customer Success program. So that’s a bit about us. What are we looking for in you? Experience: As a sales leader, you will strategically build and drive the territory’s sales pipeline by assembling and leading a skilled team of sales professionals. This leader should be familiar with generating, developing and closing software subscription (SaaS) opportunities. We are looking for a self-starter who can manage a team and make an immediate impact of selling our Backup and Cloud Storage solutions. In this role, the sales leader will work closely with the VP of Sales, marketing staff, and service staff to develop and implement specific strategic plans to achieve and exceed revenue targets, including new business acquisition as well as build out our customer success program. Leadership: We have an experienced team who’s brought us to where we are today. You need to have the people and management skills to get them excited about working with you. You need to be a strong leader and compassionate about developing and supporting your team. Data driven and creative: The data has to show something makes sense before we scale it up. However, without creativity, it’s easy to say “the data shows it’s impossible” or to find a local maximum. Whether it’s deciding how to scale the team, figuring out what our outbound sales efforts should look like or putting a plan in place to develop the team for career growth, we’ve seen a bit of creativity get us places a few extra dollars couldn’t. Jive with our culture: Strong leaders affect culture and the person we hire for this role may well shape, not only fit into, ours. But to shape the culture you have to be accepted by the organism, which means a certain set of shared values. We default to openness with our team, our customers, and everyone if possible. We love initiative — without arrogance or dictatorship. We work to create a place people enjoy showing up to work. That doesn’t mean ping pong tables and foosball (though we do try to have perks & fun), but it means people are friendly, non-political, working to build a good service but also a good place to work. Do the work: Ideas and strategy are critical, but good execution makes them happen. We’re looking for someone who can help the team execute both from the perspective of being capable of guiding and organizing, but also someone who is hands-on themselves. Recruit, coach, mentor, manage and lead a team of sales professionals to achieve yearly sales targets. This includes closing new business and expanding upon existing clientele. Expand the customer success program to provide the best customer experience possible resulting in upsell opportunities and a high retention rate. Develop effective sales strategies and deliver compelling product demonstrations and sales pitches. Acquire and develop the appropriate sales tools to make the team efficient in their daily work flow. Apply a thorough understanding of the marketplace, industry trends, funding developments, and products to all management activities and strategic sales decisions. Ensure that sales department operations function smoothly, with the goal of facilitating sales and/or closings; operational responsibilities include accurate pipeline reporting and sales forecasts. This position will report directly to the VP of Sales and will be staffed in our headquarters in San Mateo, CA. 7 – 10+ years of successful sales leadership experience as measured by sales performance against goals. 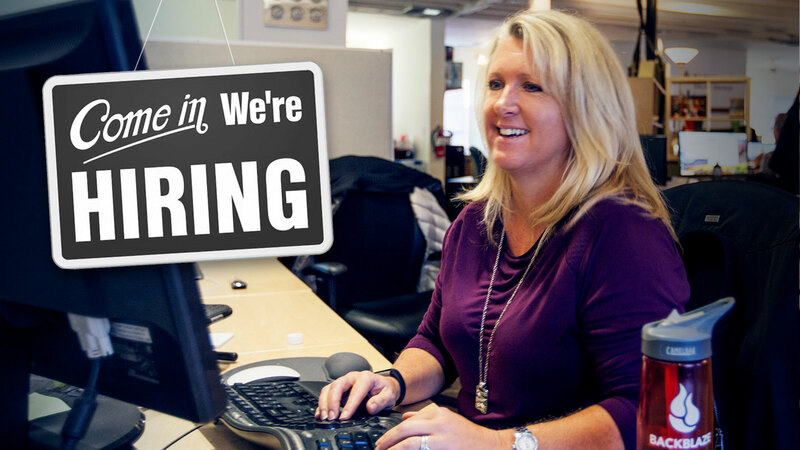 Experience in developing skill sets and providing career growth and opportunities through advancement of team members. Background in selling SaaS technologies with a strong track record of success. Must be able to travel occasionally nationwide. Think you want to join us on this adventure? How would you approach evaluating the current sales team and what is your process for developing a growth strategy to scale the team? What are the goals you would set for yourself in the 3 month and 1-year timeframes? Thank you for taking the time to read this and I hope that this sounds like the opportunity for which you’ve been waiting. 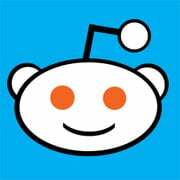 The post Hiring a Director of Sales appeared first on Backblaze Blog | Cloud Storage & Cloud Backup. 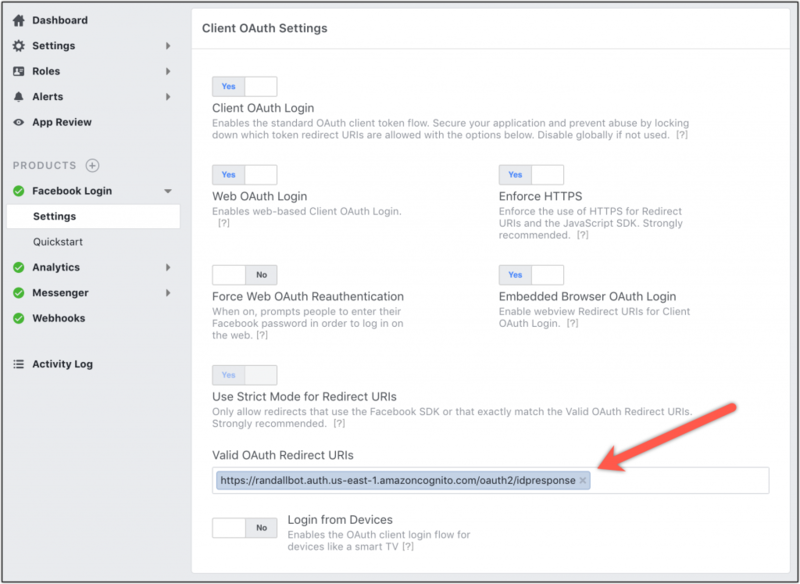 Today I’m excited to announce built-in authentication support in Application Load Balancers (ALB). ALB can now securely authenticate users as they access applications, letting developers eliminate the code they have to write to support authentication and offload the responsibility of authentication from the backend. The team built a great live example where you can try out the authentication functionality. Identity-based security is a crucial component of modern applications and as customers continue to move mission critical applications into the cloud, developers are asked to write the same authentication code again and again. Enterprises want to use their on-premises identities with their cloud applications. Web developers want to use federated identities from social networks to allow their users to sign-in. ALB’s new authentication action provides authentication through social Identity Providers (IdP) like Google, Facebook, and Amazon through Amazon Cognito. It also natively integrates with any OpenID Connect protocol compliant IdP, providing secure authentication and a single sign-on experience across your applications. How Does ALB Authentication Work? Authentication is a complicated topic and our readers may have differing levels of expertise with it. I want to cover a few key concepts to make sure we’re all on the same page. If you’re already an authentication expert and you just want to see how ALB authentication works feel free to skip to the next section! Authorization verifies permissions, the things an identity is allowed to do. OpenID Connect (OIDC) is a simple identity, or authentication, layer built on top on top of the OAuth 2.0 protocol. 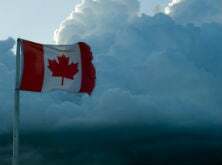 The OIDC specification document is pretty well written and worth a casual read. 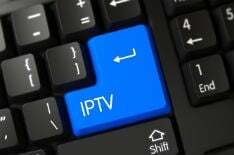 Identity Providers (IdPs) manage identity information and provide authentication services. ALB supports any OIDC compliant IdP and you can use a service like Amazon Cognito or Auth0 to aggregate different identities from various IdPs like Active Directory, LDAP, Google, Facebook, Amazon, or others deployed in AWS or on premises. When we get away from the terminology for a bit, all of this boils down to figuring out who a user is and what they’re allowed to do. Doing this securely and efficiently is hard. Traditionally, enterprises have used a protocol called SAML with their IdPs, to provide a single sign-on (SSO) experience for their internal users. SAML is XML heavy and modern applications have started using OIDC with JSON mechanism to share claims. 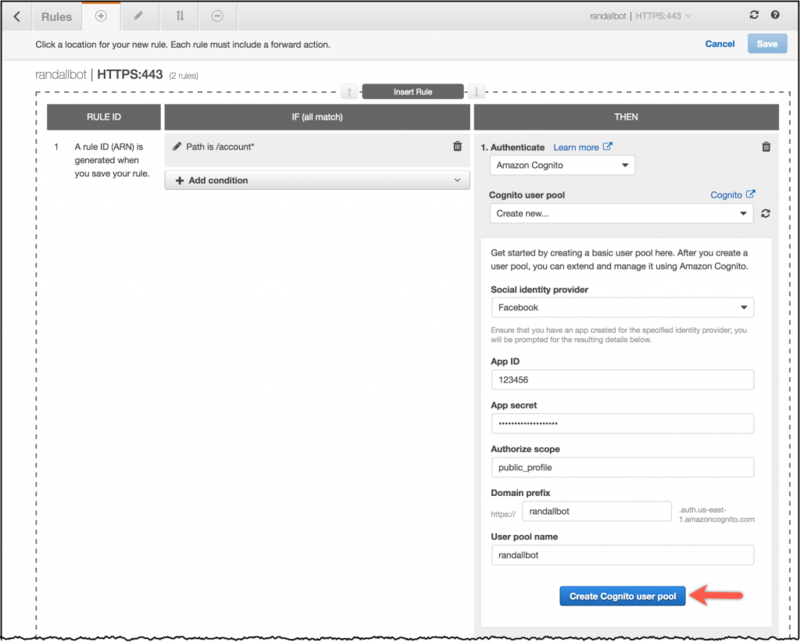 Developers can use SAML in ALB with Amazon Cognito’s SAML support. Web app or mobile developers typically use federated identities via social IdPs like Facebook, Amazon, or Google which, conveniently, are also supported by Amazon Cognito. ALB Authentication works by defining an authentication action in a listener rule. 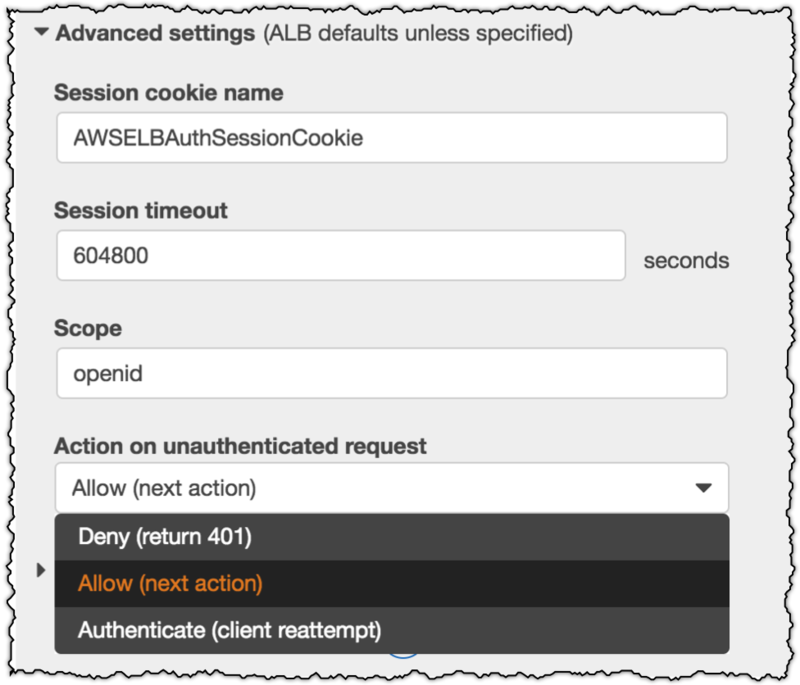 The ALB’s authentication action will check if a session cookie exists on incoming requests, then check that it’s valid. If the session cookie is set and valid then the ALB will route the request to the target group with X-AMZN-OIDC-* headers set. The headers contain identity information in JSON Web Token (JWT) format, that a backend can use to identify a user. If the session cookie is not set or invalid then ALB will follow the OIDC protocol and issue an HTTP 302 redirect to the identity provider. The protocol is a lot to unpack and is covered more thoroughly in the documentation for those curious. I have a simple Python flask app in an Amazon ECS cluster running in some AWS Fargate containers. The containers are in a target group routed to by an ALB. I want to make sure users of my application are logged in before accessing the authenticated portions of my application. First, I’ll navigate to the ALB in the console and edit the rules. I want to make sure all access to /account* endpoints is authenticated so I’ll add new rule with a condition to match those endpoints. Now, I’ll add a new rule and create an Authenticate action in that rule. I’ll have ALB create a new Amazon Cognito user pool for me by providing some configuration details. 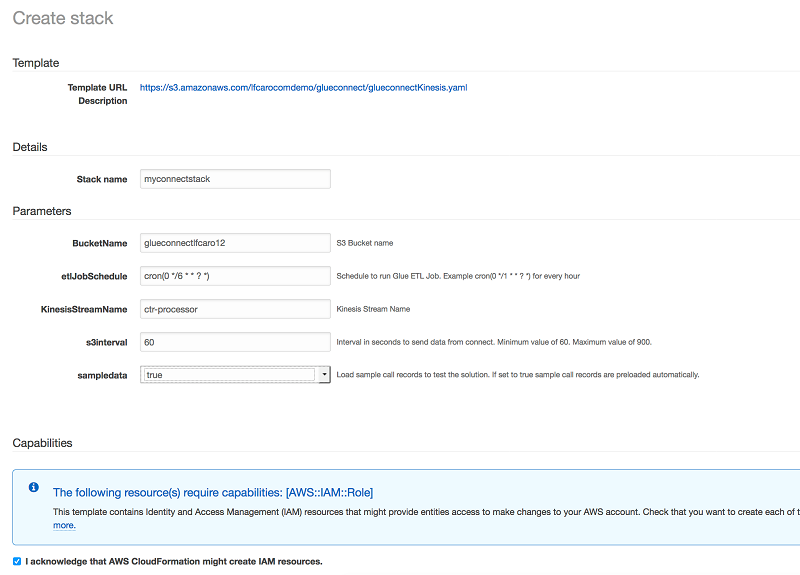 After creating the Amazon Cognito pool, I can make some additional configuration in the advanced settings. I can change the default cookie name, adjust the timeout, adjust the scope, and choose the action for unauthenticated requests. I can pick Deny to serve a 401 for all unauthenticated requests or I can pick Allow which will pass through to the application if unauthenticated. This is useful for Single Page Apps (SPAs). For now, I’ll choose Authenticate, which will prompt the IdP, in this case Amazon Cognito, to authenticate the user and reload the existing page. 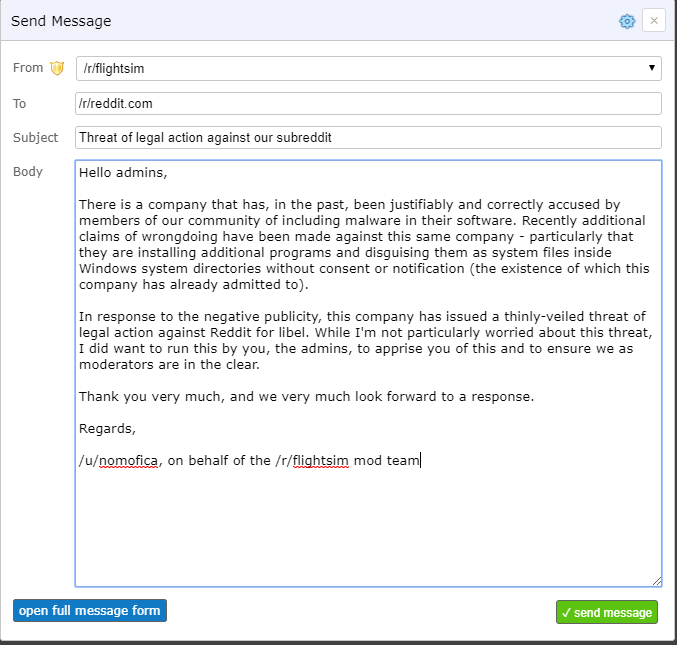 Now I’ll add a forwarding action for my target group and save the rule. Over on the Facebook side I just need to add my Amazon Cognito User Pool Domain to the whitelisted OAuth redirect URLs. 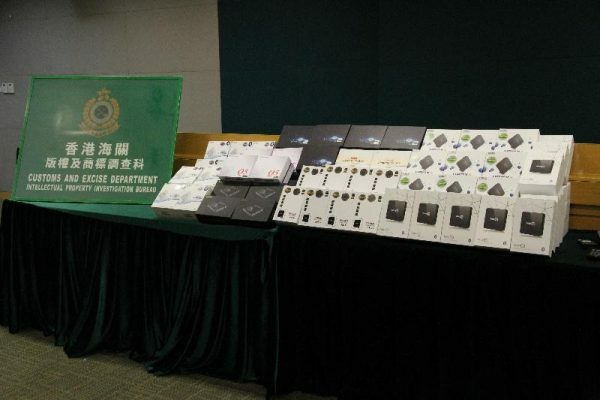 I would follow similar steps for other authentication providers. Now, when I navigate to an authenticated page my Fargate containers receive the originating request with the X-Amzn-Oidc-* headers set by ALB. Using the information in those headers (claims-data, identity, access-token) my application can implement authorization. All of this was possible without having to write a single line of code to deal with each of the IdPs. However, it’s still important for the implementing applications to verify the signature on the JWT header to ensure the request hasn’t been tampered with. Of course everything we’ve seen today is also available in the the API and AWS Command Line Interface (CLI). You can find additional information on the feature in the documentation. This feature is provided at no additional charge. 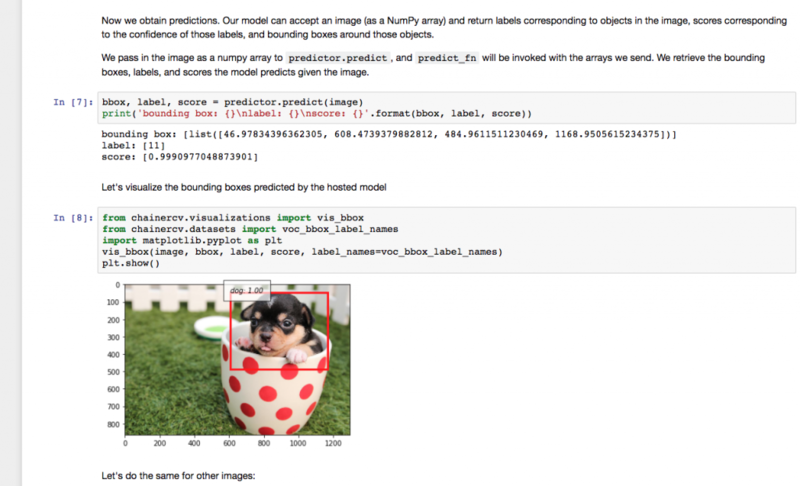 Be sure to check out the live example as well. With authentication built-in to ALB, developers can focus on building their applications instead of rebuilding authentication for every application, all the while maintaining the scale, availability, and reliability of ALB. 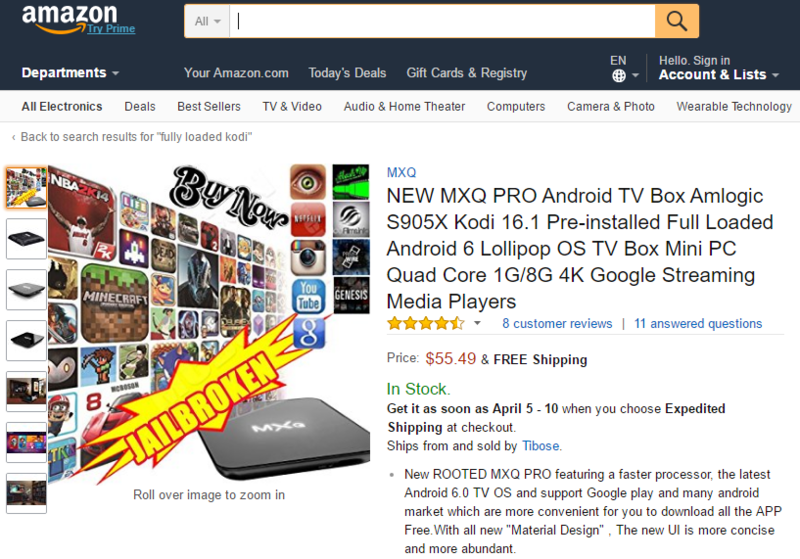 I think this feature is a pretty big deal and I can’t wait to see what customers build with it. Let us know what you think of this feature in the comments or on twitter! What do I do with a Mac that still has personal data on it? Do I take out the disk drive and smash it? Do I sweep it with a really strong magnet? Is there a difference in how I handle a hard drive (HDD) versus a solid-state drive (SSD)? Well, taking a sledgehammer or projectile weapon to your old machine is certainly one way to make the data irretrievable, and it can be enormously cathartic as long as you follow appropriate safety and disposal protocols. But there are far less destructive ways to make sure your data is gone for good. Let me introduce you to secure erasing. Which Type of Drive Do You Have? Before we start, you need to know whether you have a HDD or a SSD. 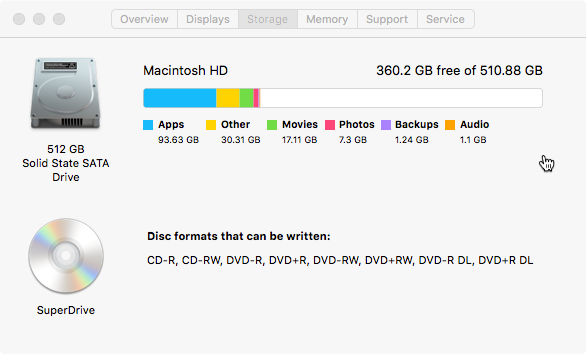 To find out, or at least to make sure, you click on the Apple menu and select “About this Mac.” Once there, select the “Storage” tab to see which type of drive is in your system. The first example, below, shows a SATA Disk (HDD) in the system. In the next case, we see we have a Solid State SATA Drive (SSD), plus a Mac SuperDrive. Before you get started, you’ll want to make sure that any important data on your hard drive has moved somewhere else. OS X’s built-in Time Machine backup software is a good start, especially when paired with Backblaze. You can learn more about using Time Machine in our Mac Backup Guide. With a local backup copy in hand and secure cloud storage, you know your data is always safe no matter what happens. NOTE: If you’re interested in wiping an SSD, see below. Make sure your Mac is turned off. Immediately hold down the command and R keys. Wait until the Apple logo appears. Select “Disk Utility” from the OS X Utilities list. Click Continue. Select the disk you’d like to erase by clicking on it in the sidebar. Click the Security Options button. The Security Options window includes a slider that enables you to determine how thoroughly you want to erase your hard drive. There are four notches to that Security Options slider. “Fastest” is quick but insecure — data could potentially be rebuilt using a file recovery app. Moving that slider to the right introduces progressively more secure erasing. Disk Utility’s most secure level erases the information used to access the files on your disk, then writes zeroes across the disk surface seven times to help remove any trace of what was there. 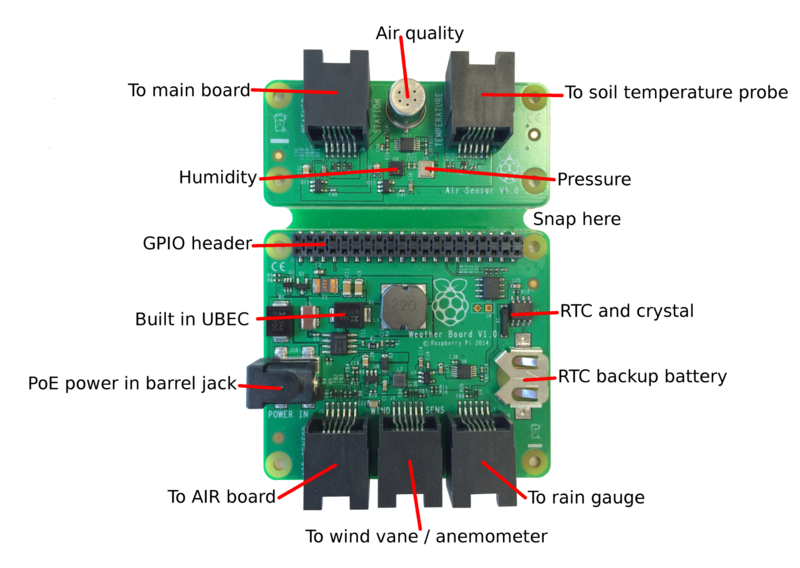 This setting conforms to the DoD 5220.22-M specification. Once you’ve selected the level of secure erasing you’re comfortable with, click the OK button. Click the Erase button to begin. Bear in mind that the more secure method you select, the longer it will take. The most secure methods can add hours to the process. Once it’s done, the Mac’s hard drive will be clean as a whistle and ready for its next adventure: a fresh installation of OS X, being donated to a relative or a local charity, or just sent to an e-waste facility. Of course you can still drill a hole in your disk or smash it with a sledgehammer if it makes you happy, but now you know how to wipe the data from your old computer with much less ruckus. The above instructions apply to older Macintoshes with HDDs. What do you do if you have an SSD? Most new Macs ship with solid state drives (SSDs). Only the iMac and Mac mini ship with regular hard drives anymore, and even those are available in pure SSD variants if you want. If your Mac comes equipped with an SSD, Apple’s Disk Utility software won’t actually let you zero the hard drive. With an SSD drive, Secure Erase and Erasing Free Space are not available in Disk Utility. These options are not needed for an SSD drive because a standard erase makes it difficult to recover data from an SSD. 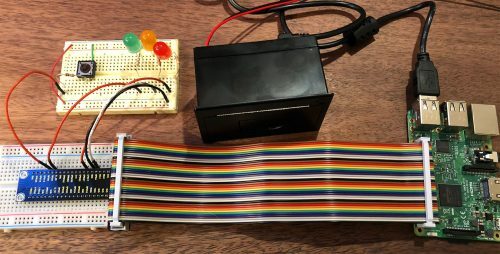 In fact, some folks will tell you not to zero out the data on an SSD, since it can cause wear and tear on the memory cells that, over time, can affect its reliability. I don’t think that’s nearly as big an issue as it used to be — SSD reliability and longevity has improved. If “Standard Erase” doesn’t quite make you feel comfortable that your data can’t be recovered, there are a couple of options. One way to make sure that your SSD’s data remains secure is to use FileVault. FileVault is whole-disk encryption for the Mac. With FileVault engaged, you need a password to access the information on your hard drive. Without it, that data is encrypted. There’s one potential downside of FileVault — if you lose your password or the encryption key, you’re screwed: You’re not getting your data back any time soon. Based on my experience working at a Mac repair shop, losing a FileVault key happens more frequently than it should. When you first set up a new Mac, you’re given the option of turning FileVault on. If you don’t do it then, you can turn on FileVault at any time by clicking on your Mac’s System Preferences, clicking on Security & Privacy, and clicking on the FileVault tab. Be warned, however, that the initial encryption process can take hours, as will decryption if you ever need to turn FileVault off. With FileVault turned on, you can restart your Mac into its Recovery System (by restarting the Mac while holding down the command and R keys) and erase the hard drive using Disk Utility, once you’ve unlocked it (by selecting the disk, clicking the File menu, and clicking Unlock). That deletes the FileVault key, which means any data on the drive is useless. FileVault doesn’t impact the performance of most modern Macs, though I’d suggest only using it if your Mac has an SSD, not a conventional hard disk drive. If you don’t want to take Apple’s word for it, if you’re not using FileVault, or if you just want to, there is a way to securely erase free space on your SSD. It’s a little more involved but it works. Before we get into the nitty-gritty, let me state for the record that this really isn’t necessary to do, which is why Apple’s made it so hard to do. But if you’re set on it, you’ll need to use Apple’s Terminal app. Terminal provides you with command line interface access to the OS X operating system. Terminal lives in the Utilities folder, but you can access Terminal from the Mac’s Recovery System, as well. Once your Mac has booted into the Recovery partition, click the Utilities menu and select Terminal to launch it. Something to remember is that the more extensive the erase procedure, the longer it will take. If you absolutely, positively need to be sure that all the data on a drive is irretrievable, see this Scientific American article (with contributions by Gleb Budman, Backblaze CEO), How to Destroy a Hard Drive — Permanently. The post Getting Rid of Your Mac? 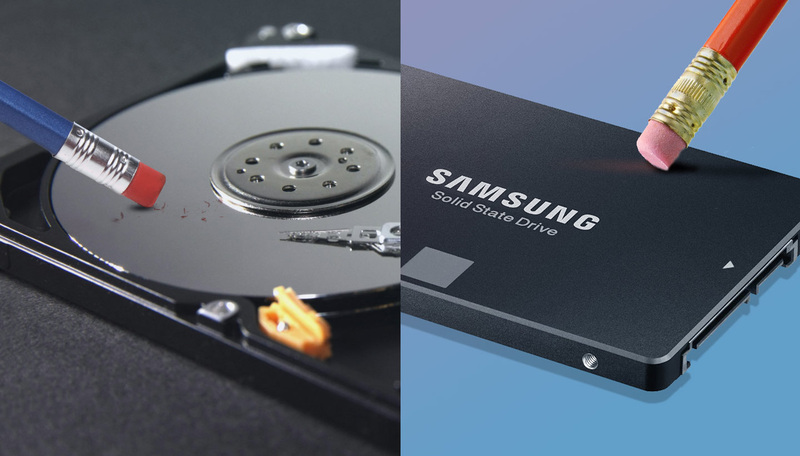 Here’s How to Securely Erase a Hard Drive or SSD appeared first on Backblaze Blog | Cloud Storage & Cloud Backup.